Home » Grow Traffic » Understanding SEO Keywords And How To Use Them. Search Engine Optimisation requires the use of keywords for better post ranking. 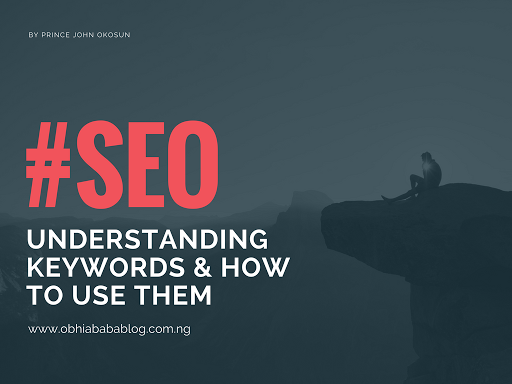 Keywords are specific words which when used properly can help improve a blog or product exposure via search pages appearance. Every word is a keyword but not every word is an SEO keyword. Some words are better keywords than others due to some factors – Word power, search density, daily search, monthly queries, relevancy etc. 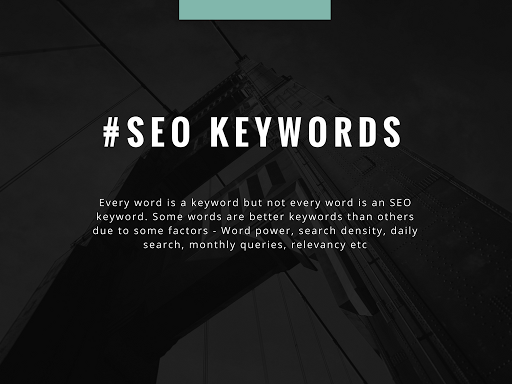 On daily basis, internet users search the web with different queries (words), nearly every word in the dictionary is searched for daily but some words gain higher search entry and these words are referred to important keywords. Understanding keywords require defining and knowing which keyword to be used based on your blog content type, title, aim and target audience. You should also consider how and where to use these keywords in your blog, website, online shop etc. It is also important to not that there are various branches of Keywords. Not every keyword should be used as each niche on the web has a specific practice that will work just great. If every word is a keyword, then it then means any word you use on your blog post stand to act as a keyword. Such keywords are referred to as general keywords. General keywords are words often used to explain or describe a product or blog post and it ends up acting as a keyword. Post don’t usually get ranked as a result of general keywords because everybody uses them but at some time, they help improve the blog posts ranking especially when the post is long and interesting. 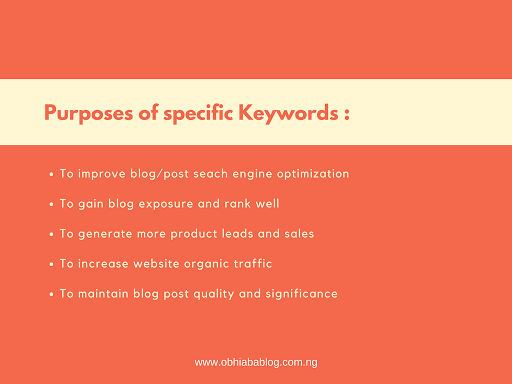 These type of keywords are very important to a product, blog or blog post. They are not targeted keywords but at sometimes when visitors search for similar words related to your keywords these kinds of keywords rank your post. It is advisable to always use similar words instead of repeating on phrase over and over again in a statement. Users can easily search for “Website” instead of “blog” and if you have included “Website” as a related keyword then you post will most probably rank for it as well. Among all the branches of keywords, specific keywords are the most important for SERP ranking. Specific keywords are the right keywords for you. A specific keyword is simply keyword that best explains what your website is all about and such keywords are used getting targetted audience. Specific keyword usage requires is proper and fundamental planning. Keywords perform awesomely when used in strategic part of a blog. No keyword is weak, you only need to know how, where and when to use it. In other to know which keyword is right for you, you need to define your blog, relate it to all your blog posts both the old and the future posts and select out words that appear (words that define) in nearly all your blog posts. Using keyword planners search for its daily queries and competition before making it your specific keyword. You can have up to 10 specific keywords. There are basically two types of keywords – Long tail keyword and short tail keywords. Every keyword is a short tail keyword. It is simple a setup of a single keyword or at least 2 words making a single word. Competition and search queries for short tail keywords is normally very tough this is while such keywords are not recommended for blog posts. Short tail keywords are ideal for blog name (title) and domain name (blog URL). Using a short tail keyword which groups every other keyword in your blog will drastically boost your online presence. A long tail keyword is the combination of several related short tail keywords to form a phrase or a sentence. Long tail keywords are specific, unlike short tail that is broad. Long tail keywords also rank better than short tail because of the lesser competition. 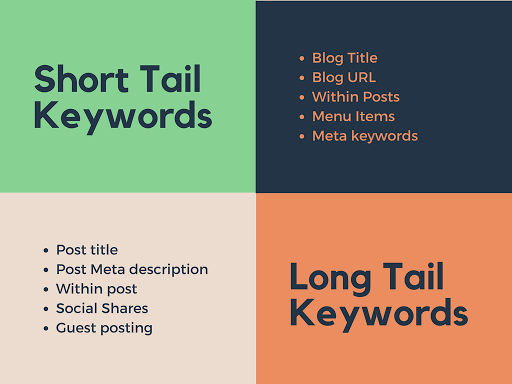 Long tail keywords are ideal for blog post title, blog description, and within a post. Long tail keywords can also bring together similar, general and specific keywords to make a sentence and high ranking phrase. general keyword + Specific keyword + word + similar keyword + …. it can be of any form. as long as it’s a mixture and a sentence. Usage is what makes some blog appear on the first page while others don’t appear at all. 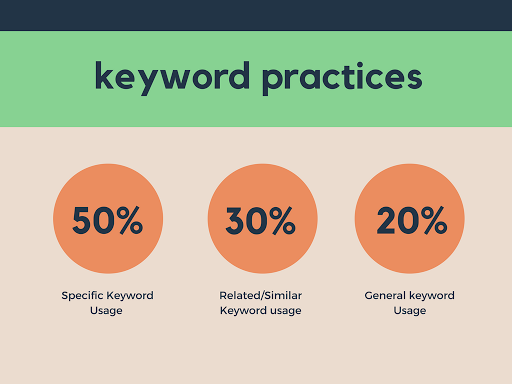 Keywords increase SEO but this is only if you know how and when to use them. By defining keywords, I mean knowing which keyword is related to your blog and which to use. A simple way of defining your blog keywords is to randomly select 10 or more posts from your blog and sort out which word groups all of them together. I once wrote a blog post with less than 300 words and it ranked more than as expected. Why? where to use keywords. Improving your blog search traffic requires knowing where to use specific, related and general keywords. I already explained above the types of keywords and where to use them. When is started blogging in 2015, I would write a long post (full of errors) and blame google for not ranking/indexing the post. But in 2016 I had a breakthrough when all my 72 blog posts (i deleted over 200 posts) ranked well for all related keywords. I have practised various tips on the web, and none per say told me what to do but a collective usage of them all ping into my head “keyword = SEO”. Understanding my blog keywords and how to use them has brought a more targetted audience. Nice Writeup. Ill be sure to take note of my keywords now in my post.